It is quite rare, in Italy at least, for the political decision-makers, big business and the media to show an interest in the rubber and plastics industry. As a rule, it only becomes a topic of conversation in the event of serious accidents, corporate reorganisation initiatives or when it finds itself the target of environmentalist campaigns. For this reason, the presentation of an extensive study of the sector of plastic materials at the last Ambrosetti Workshop at Forum Villa d’Este in Como (an international event that sees the participation – strictly by invitation – of heads of state, government ministers, Nobel laureates, business leaders and economists) was a very welcome change. The aim of the various seminars, debates and presentations of sector research was to work out forecasts on the global economic and geopolitical scenario, especially as regards its impact on Europe and Italy. “The excellence of the plastics pipeline for the industrial revival of Italy and Europe” is a study commissioned to The European House – Ambrosetti by the plastics industry with the support of leading industry associations (Federazione Gomma Plastica, Assocomaplast, Federchimica – PlasticsEurope Italia). It provides an overview of this industrial pipeline, from raw materials to recycling, focusing in particular on its impact, both economic and social. 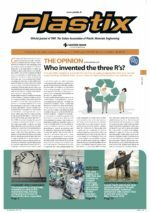 As Daniele Ferrari, president of PlasticsEurope Italia reveals in the introduction, what the report shows is that «This industry is the true backbone of the manufacturing sector in Europe and in Italy, not only because of its traditionally deep scientific and industrial roots, but also in view of future achievements». Despite the economic slowdown, the outlook for the plastics industry remains generally bright, at world level at least: consumption is set to go on growing in the coming years, rising from the present 235 million tons to over 300 million tons in 2025. Obviously, some regions will grow more than others, but this is a lesson we have already learned. 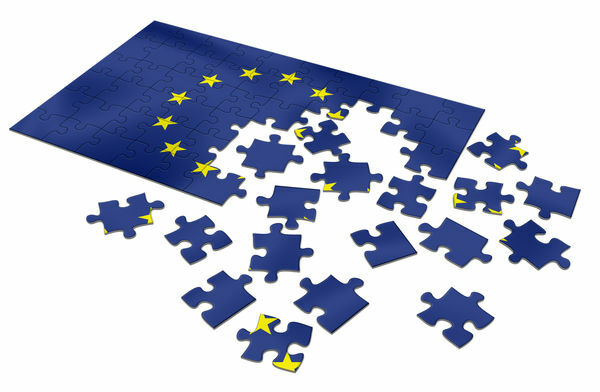 In all likelihood, Europe will cease to be the driving force of the sector’s future development, while remaining for many years one of the main producers of raw materials and processing technologies as well as an important outlet market. In Europe, the rubber and plastics industry currently employs around 1.5 million people, numbers more than 62,000 active companies, and has a turnover of around 300 billion euros. In this setting, Italy plays a major role, being Europe’s second largest consumer of plastics and second largest machine manufacturer, after Germany, while ranking third for processing capacity. The study shows that, overall, Italy has around 11,000 companies operating in the sector, many of which are SMEs: they make up 18 percent of the European total and employ 160,000 people (11 percent of the EU-27 total), generating a turnover of around 43 billion euros (14 percent). Exports (bln €) 5.7 12.2 2.6 n.a. Trade balance (bln €) -3.8 5.9 1.9 n.a. These are figures that underline the importance of the role played by the rubber and plastics industry to the revival of the manufacturing sector in Europe, which has become one of the priorities of EU economic policy. Indeed, according to the researchers, a 10 percent increase in the added value of the sector would translate into a 4.4 percent increase in the added value of Europe’s manufacturing industry. Considering that the EU wants to see manufacturing generating a 20 percent share of GDP by 2020, this would be no mean contribution. How much will Italy be affected? Italy, too, stands to enjoy the economic and social benefits of all this: every 100 euros of GDP produced in the rubber and plastics industry generates an added value of 58 euros in other manufacturing sectors. At macroeconomic level – at a time when everyone is keeping a close and anxious eye on the GDP – a 10 percent increase in the turnover recorded by the plastics and rubber industries could help to boost GDP by 0.6 percent, leading to the creation of over 40,000 new jobs. Still on the subject of employment, every new job created in this sector can generate another 2.7, both at industrial level, and in the related service sectors. One important part of the pipeline is the collection and recycling of plastic materials, a sector in which one in three companies in Europe is Italian. In Italy, 51 percent of plastic waste is recovered. Part of this is recycled (around 800,000 tons), and part is reused for energy purposes (900,000 tons). The second part of the Ambrosetti study focuses on critical aspects of the Italian rubber and plastics industry and proposes some ideas on how to revive it, which would need to be supported by a consistent industrial policy. According to the researchers, the industry needs to create critical mass, as it continues to be too fragmented: eight companies out of ten have fewer than 20 employees, and only 6.2 percent can be classified as middle-sized (as opposed to 23 percent of those in Germany). It is therefore necessary to favour the creation of large industrial clusters, focusing innovation on a few cornerstones chosen to coincide with other areas of excellence in Italian manufacturing. What industrial policy should therefore seek to do is develop business location factors able to keep the industrial base well established and generate new businesses. Companies need to be not only larger, but also better integrated and more productive in order to be able to compete at international level. This is something that, according to the analysts asked to prepare the study, can be achieved (following the example of the countries of central and northern Europe) by optimising the size of companies and boosting the efficiency of their existing production structures. It is estimated, for example that the productivity of chemical plants in Germany will be 40 percent greater in 2030 than it was in 2011, while it raw material consumption will increase by 15 percent and its energy consumption by 8 percent. A third critical aspect – and this is nothing new – is the stimulus provided by innovation, at all levels, from basic to applied research. However, it is important to concentrate it in selected strategic areas that are well integrated with industrial activities of excellence. Another front on which it is possible to intervene is that of the end-of-life management and recycling of waste, by promoting «a strategy to improve Italy’s position through efforts to turn the whole plastic cycle into an economic and competitive opportunity». In other words, it is a question of making the whole waste collection cycle more efficient, prohibiting the disposal of plastics in landfills and encouraging the modernisation of equipment, through tax incentives and simplification of the regulatory framework. This is an objective that could be achieved by boosting energy recovery from plastic waste, perhaps replicating best practices already existing in Italy.